Stories of love, honor, and intrigue. Rhymes of death and mourning. All these and more are included in the finalists for the Library of Virginia’s 2014 Literary Awards. In the nonfiction category three faculty members from the University of Virginia in Charlottesville are this year’s finalists. Barbara Perry, a senior fellow and associate professor at the University of Virginia in the Miller Center’s Presidential Oral History Program, claimed one of the top three nonfiction spots for her biography Rose Kennedy: The Life and Times of a Political Matriarch. Critics have praised Perry for this compelling and intimate portrait drawn from newly released diaries and letters of Rose Kennedy. Alan Taylor was tapped as a finalist for his Pulitzer Prize–winning book The Internal Enemy, a searing account of the slaves who sought freedom by escaping to the British side during the War of 1812. The Pulitzer committee’s citation calls the book “a meticulous and insightful account of why runaway slaves in the colonial era were drawn to the British side as potential liberators. The Internal Enemy’s riveting narrative re-creates the events that inspired black Virginians, haunted slaveholders, and set the nation on a new and dangerous course.” Taylor will begin teaching in August as the Thomas Jefferson Memorial Foundation Chair in the Corcoran Department of History in the College of Arts and Sciences. Elizabeth R. Varon, the Langbourne M. Williams Professor of American History at the University of Virginia, is the third finalist for Appomattox: Victory, Defeat, and Freedom at the End of the Civil War, her thought-provoking examination of the substantive and symbolic meanings of the surrender at Appomattox. In thisengaging scholarly consideration of the ambiguities surrounding the defeat of the South, Varon dispels many of the simplistic myths and explains the ongoing struggle that persisted in the newly united nation into the bitter eras of Reconstruction and Jim Crow. The three finalists for the Emyl Jenkins Sexton Literary Award for Fiction include a first-time novelist and two much-decorated authors. Debut novelist Virginia Pye, whose grandfather was Christian missionary, earns fiction finalist honors for River of Dust, a haunting and intricate look at a missionary couple serving in China. River of Dust was chosen as an Indie Next Pick by the Independent Booksellers Association. Pye, who lives in Richmond, has published award-winning short stories and has taught writing at New York University, the University of Pennsylvania, and in home and school settings. She is a past chair of the James River Writers and currently serves on the JRW Advisory Board. Lee Smith is the third fiction finalist for Guests on Earth, her engrossing and touching historical novel exploring the treatment of mental illness and women’s independence, which features Zelda Fitzgerald and 13-year-old Evalina Toussaint as characters.Goodreads says, “Lee Smith has created, through her artful blending of fiction and fact, a mesmerizing novel about a world apart—a time and place where creativity and passion, theory and medicine, tragedy and transformation are luminously intertwined.” Smith, a Virginia native, received the Library of Virginia’s Lifetime Achievement Award in 2010. The judges also recognized Seeing Red by Katherine Erskine, of Charlottesville, with an honorable mention. Bob Hicok, who teaches at Virginia Tech, is a poetry finalist for Elegy Owed, his National Book Critics Circle Award finalist book of poetry. In describing the work, the Los Angeles Times writes, “Death is at the center of Hicok’s writing—not in a maudlin, self-pitying way, but rather as a vivid presence, infusing everything, even the deepest moments of connection, with a steely sense of loss.” Elegy Owed is the work of a powerful poet writing about grief and loss with intensity while at the same time being both absorbing and accessible. Margaret Mackinnon, of Falls Church, was tapped as a poetry finalist for The Invented Child, her magnificent debut collection of poems. The Invented Child uses the poet’s family along with famous figures from history and fairy tales in a series of beautifully crafted and authentic poems. The Invented Child received the 2011 Gerald Cable Book Award, awarded annually to an author who has not yet published a book of poems. R. T. Smith is the third poetry finalist for The Red Wolf: A Dream for Flannery O’Connor, a tour de force capturing the intricate details of O’Connor’s life and character. The poems are based on Smith’s long interest in O’Conner and his research at Georgia College and State University where the O’Connor Collection and manuscripts are located. Smith is the editor of Shenandoah and is the writer-in-residence at Washington and Lee University. He has twice won the Library of Virginia Poetry Award, for Messenger (2002)and Outlaw Style: Poems (2008). 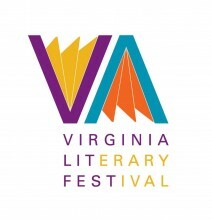 The winners in each category (fiction, nonfiction, and poetry) will be announced on Saturday, October 18, 2014, at the 17th Annual Library of Virginia Literary Awards Celebration Honoring Virginia Authors and Friends. This gala event, sponsored by Dominion, attracts authors, publishers, and those who enjoy the written word. Award-winning author Adriana Trigiani will again serve as host for this event. Barbara Kingsolver will be honored this year as the recipient of the Literary Lifetime Achievement Award. July’s 30 for 30 Sale Online — Capitol Shop Merchandise!